Welcome to October's Tea Time Treats Round-Up! 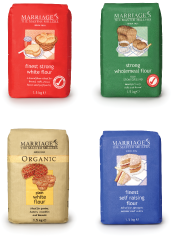 I was delighted to announce, together with Marriage's Millers, a giveaway in association with this month's Tea Time Treats. Read on to discover the winner! PS This is my penultimate hosting of Tea Time Treats. It's been a brilliant couple of years and I've loved all the wonderful recipes and entries - thank you for entering month after month. It's been a joy to co-host with Karen, a fantastic blogger, chef and friend. General life commitments have meant I regrettably need to cut back on my Tea Time Treat role. See you all for my final hosting in December! 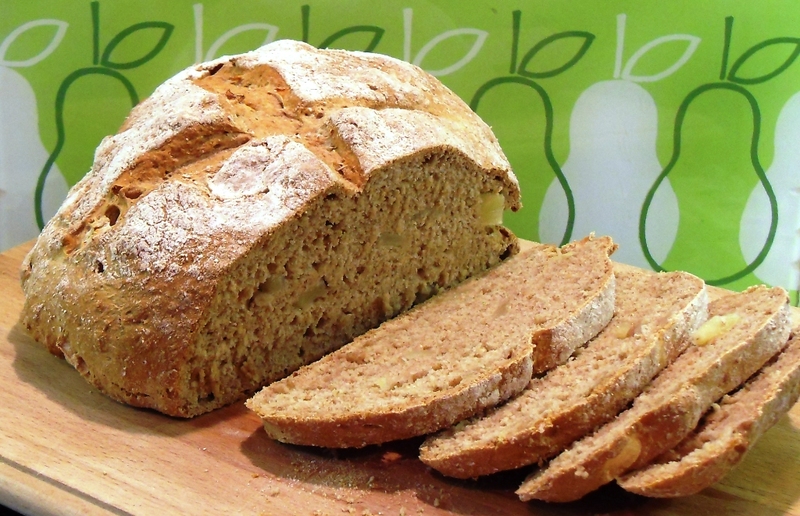 Spelt flour is certinaly popular this month: Food Jam has baked a yummy Spelt and Cider Loaf inspired by Nigel Slater. I love the 'LOAF' inscribed into the side of the bread! Eat Your Veg's Granny's Bara Brith brings back many, many memories of baking this classic Welsh loaf with Granny and Aunt Marjorie. Now baking with her own children, this is sure to remain a family favourite for generations to come! Cookie's Cakes and Bakes has baked a Cherry Bakewell Inspired Couronne. 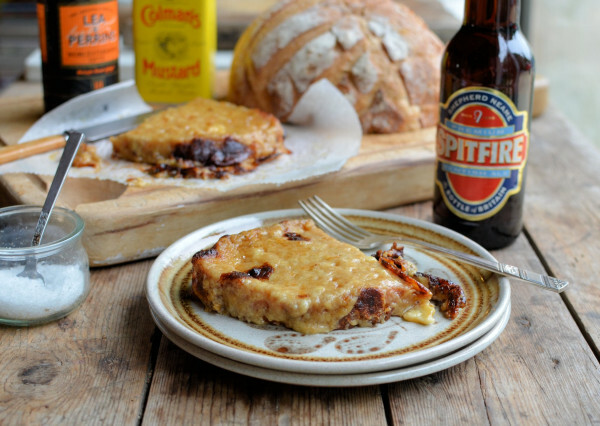 Inspired indeed- a great recipe and a great bake! How incredible and wonderous is the name of this next entry? Dragons and Fairy Dust's Northumberland Singing Hinnies or a traditional Northumberland fried scone. Definitely the best name of the month! 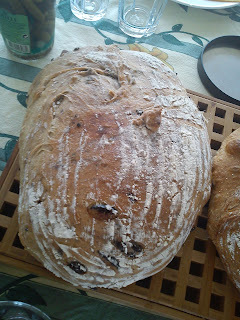 A delicious, minimal effort loaf is next, from Under the Blue Gum Tree who has entered this seasonal Walnut and Fig Loaf. 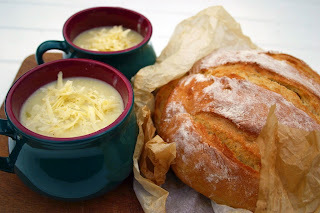 It was served with a warming, earthy mushroom soup and a chunk of blue cheese- scrumptious! 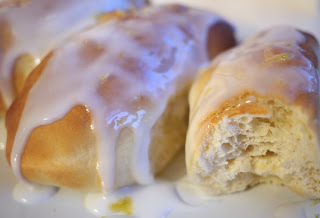 Chinskitchen was asked by her six year old son to bake these Quick Bake Rolls - nothing like inspiring the next generation and waking up to freshly baked rolls for breakfast! 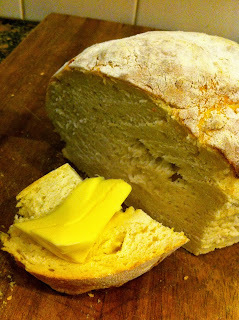 I couldn't agree more with the opening sentence to Baking in Franglais' lovely Automatic Granary Loaf post: 'There’s nothing quite like fresh home-made bread is there?' No siree! 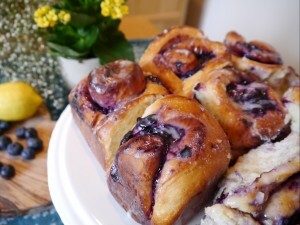 The Gluten Free Alchemist has adapted a Phil Vickery recipe to create a perfect gluten free brioche- light, buttery and packed with chocolate chips- dee-lish! Thank you very much for this fab entry! 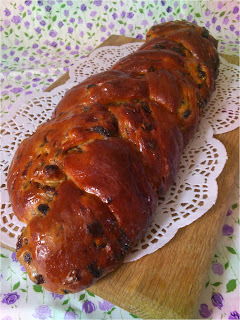 Hey there, I have the sweetest tooth of everyone I know too..lol.. and the best kind is homemade ;-) I would love to try to make the plaited tea loaf, never made something like that before and I can imagine it must be good! 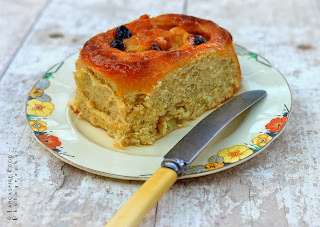 I recently made an apple & clove cake loaf that I believe is perfect for tea time.. if you´d like to take a look at it.. www.flavoursandfrosting.blogspot.com I hope you like it! That's a great round-up ~ as always !! I could be very tempted to have a go at some of them, yeast being one of my nemesis's (nemisi ??). So sorry to hear you are giving up the Tea Time Treats at the end of the year. Your round-ups have always been fun to read. I shall continue to read your normal posts, as hopefully you will be continuing with the blog. thank you for all the many great round-ups, which you have created for Tea Time Treats. Hopefully you will continue to bake in your own kitchen, so I can follow your activities here. Oh Kate, sorry to hear you are giving up hosting tea tome treats but am pleased you are hosting one more so I must make sure I enter for your final time of hosting. This is a real bread lovers feast! I'm sorry I ran out of time to join in and I wanted to give it a go as bread is not my thing and it would have been a good challenge. At least I have a fab array of recipes to choose from. So sorry to hear you are stepping down from co-hosting Tea Time Treats, good luck with your future endeavours. Really sorry you are leaving TTT Kate. You've been a splendid host. Love this yeasty round-up. Thank you very much for all your kind comments- I'll miss seeing all your wonderful cakes and bakes! Apologies Choclette for leaving off your wonderful lardy cakes- I will remedy the situation ASAP!